"In just 20 years, 80 percent of California’s Native Americans were wiped out. And though some died because of the seizure of their land or diseases caught from new settlers, between 9,000 and 16,000 were murdered in cold blood—the victims of a policy of genocide sponsored by the state of California and gleefully assisted by its newest citizens. "Today, despite all odds, California has the United States’ largest Native American population and is home to 109 federally recognized tribes. 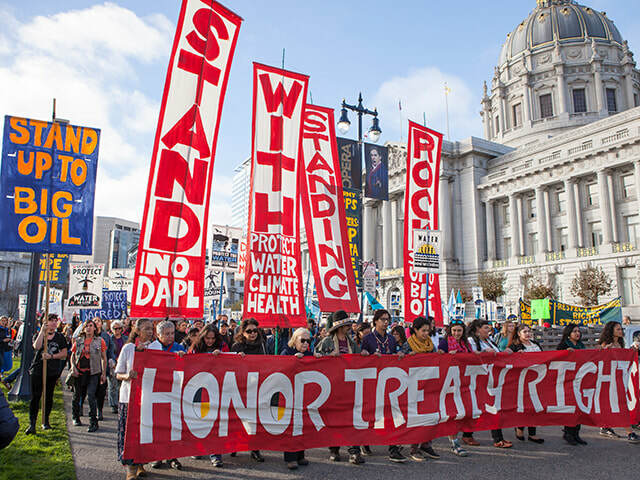 But the state’s treatment of native peoples during its founding days—and the role the slaughter of Native Americans played in establishing California’s prosperity—is little known today." This site contains a wealth of information and links to articles and videos (including talks and lectures by activist Ward Churchill) and a list of recommended books about the history of genocidal acts against Native Americans, as well as articles about the more recent pipeline resistance by the Standing Rock Sioux Nation. Highly recommended. in Novato, CA. See the two museums and other listings on our Resources page, under Local Native American Resources & Events. Both museums offer cultural and historical education. See their Facebook Events pages (listed on our Resources page).